LaDuke, a lifelong environmental activist, founder of Honor the Earth, and two-time Vice Presidential pick for the Green Party, is also a writer, and she’s speaking about her book “The Winona LaDuke Chronicles” at the Hotel Donaldson this Saturday. The book took her five years to write, too long, she said, because her house burned down halfway through. Her speech – like her book – will focus on bringing the world away from the “scorched” earth to the “good life,” through agricultural and economical traditions the Anishinaabe and Indigenous tribes across the nation have known for more than 10,000 years. She’s put her words into practice by becoming one of the first seven hemp growers in Minnesota. Now there are more than 40 hemp farmers. This year crops yielded high quality and after buying a diesel-powered decorticator for $2,200 from China, having it shipped home for a total of $355, and paying a President Donald Trump tariff of $500, she plans to be spinning hemp into yarn next year. 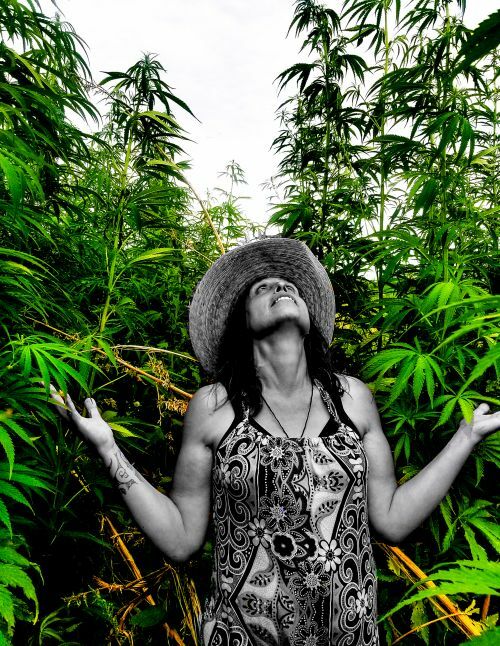 Her hemp has no THC levels, and it’s healthy for the environment, and for the skin. Nylon manufacturing creates nitrous oxide, a greenhouse gas 310 times more potent than carbon dioxide. Cotton takes approximately 5,281 gallons of water to make a single T-shirt and a pair of jeans. Cotton clothes also contain enormous amounts of residual pesticides. Primarily horses plow LaDuke’s land, she said, and she refuses to use any form of pesticide. She pointed to the fact that Indigenous reservations have the resources to trade, and have had since the early 1800s when the Hidatsas traded 500 horses to the Cree for guns and corn, or when in 1846 the Ojibwe sold 473,000 pounds of maple sugar. Today, the “spiritual gift” Standing Rock gave during the 2016 Dakota Access Pipeline controversy still remains. The tribe is working on renewable energy, and the Three Affiliated Tribes have 17,000 times more wind power potential than they could ever use. “Despite Trump, the next economy is going to have less carbon in it, because the world cannot afford it,” LaDuke said. “The future is going to be renewables. The future is going to be local food and hemp. When fossil fuel proponents challenge her by saying that industries should take advantage of current oil supplies because resources will one day dry up, she snaps back with a light-hearted jibe. “They didn’t end the stone age because they ran out of stone,” LaDuke said. Most Indigenous people never bought into the fossil fuel money-making mindset, she said, as it is based on destruction of the earth they hold dear. The White Earth Reservation where LaDuke lives is also trading wild rice and maple syrup. “I’m a sugar mamma, I’m producing maple syrup into sugar,” LaDuke said. She’s also involved with tribally owned Spotted Horse Coffees, roasting organic beans. While North Dakota Native peoples are struggling to change post office box addresses to physical addresses after primarily the Republican Party attempted to suppress votes, Minnesota has its difficulties as well, LaDuke said. Just last week two young men were stopped because their tribal IDs had post office box addresses, but an advocate was able to work with the voting booth personnel and determine a GPS coordinate matching their addresses. What is more difficult for many Natives, however, is that people from reservations cannot vote in their areas. “They drove 35 miles to vote, they got in there and were told their address wasn’t correct, they had a PO Box, and we had to have an advocate get them their ballots,” LaDuke said. Despite North Dakota’s repeated attempts to crack down on activists from the Dakota Access Pipeline, despite the militarization of police, the coordination between private security firm TigerSwan and law enforcement, the failed legislative attempt to legalize running protestors over, LaDuke has hope for North Dakota, her neighbor. She believes the recent U.S. Supreme Court ruling validating the state’s elimination of post office box addresses as valid for voting is an attempt to suppress the Native vote. The suppression, however, will backfire, she said. Many Natives are taking the government’s attempt as a challenge. The Standing Rock Sioux Reservation and many non-Native people in the Bismarck area will be providing transportation to and from voting booths. On White Earth, a water protector bus donated to Honor the Earth will be driving Indigenous people to the voting booths. LaDuke’s book “The Winona LaDuke Chronicles” published by Fernwood Press out of Manitoba is available to purchase at Zandbroz Variety in downtown Fargo, online on her website, on Amazon, or in selected bookstores. Saturday, October 27 at 6:30 p.m.